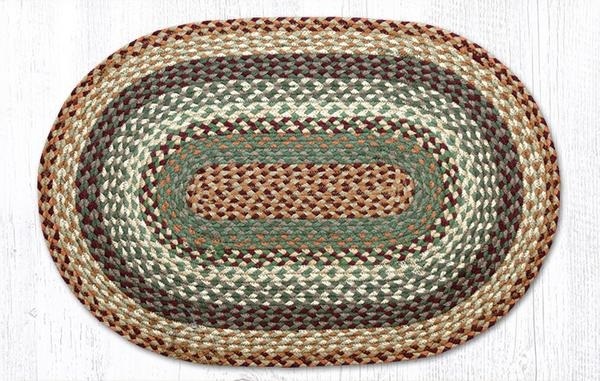 The Buttermilk/Cranberry Oval Braided Rug Collection is made of natural jute fiber. Jute fiber makes an excellent braided rug because of its beauty and durability. Jute is naturally fire-retardant and moth-proof. This collection is available in assorted sizes. EC-413.